Seating within a workshop is very important, as some manual tasks are best done whilst sitting down. 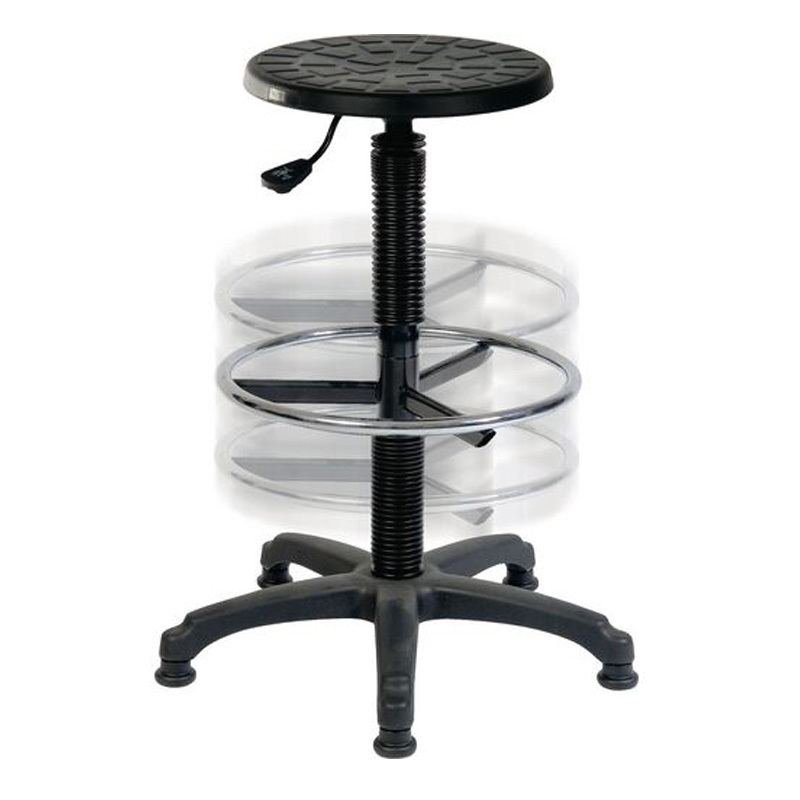 This draughting stool also provides comfort when needing to rest after standing up for prolonged periods of time. The fixed 5 star base provides good balance, so it very helpful when perching and operating tools. Fully height adjustable with gas lift operation to set the height between 590mm and 830mm. 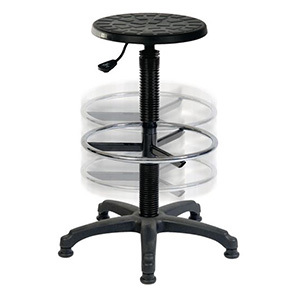 The maximum weight load capacity on these stools is 100kg.